There is a disturbing tendency rampant in Christianity. While it may not always be deliberate, it is nevertheless worrisome and, if one is boldly honest, potentially even damaging. I attend [insert pastor’s name here]’s church. Yes, he attended such-and-such seminary and/or was/is affiliated with thus-and-so ministry. Hopefully the reader sees the problem with the above scenario. Further, hopefully the reader is not blind—whether willfully or ignorantly—to the truthful reality that such conversations actually do occur. It is acceptable to like, appreciate, encourage, and even praise our pastors. They have been called to preach the Word, to proclaim the gospel of Christ, and to teach the whole truth of Scripture without compromise. That is not a simple job. It does not come without spiritual warfare, fatigue, and times of doubt. 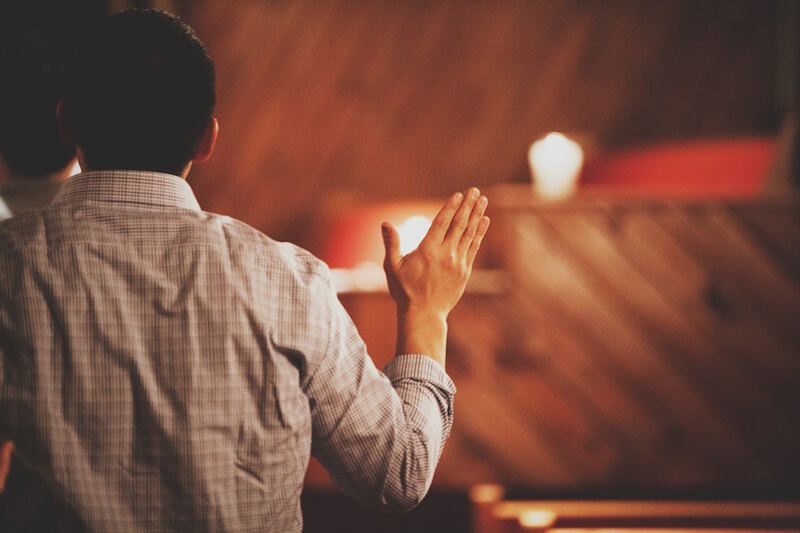 If our pastor is faithful to Christ and to His Word, we ought to joyfully share that with those who are inquiring about the body of believers with whom we worship and serve. Still, that church body does not belong to your pastor. It is not his church, nor should he desire that the local assembly be identified the fame of his name. Your pastor is merely an under-shepherd of the Good Shepherd. He is a servant of the King, just as we all are, albeit his service is manifest in a different way and capacity. Indeed, the work of ministry is not simple work. The Apostle Paul likens pastoral leadership to life as a soldier, an athlete, a farmer, a workman, and a slave (2 Timothy 2:1–26). To serve as an under-shepherd of the Lord Jesus Christ is not to live a life of ease. Furthermore, the pastor is called to feed, comfort, correct, protect, exhort, and encourage those sheep that have been entrusted to him by God. By God’s design, leadership in the church is a position of humility and selflessness. Church oversight is ministry, not management. Those whom God designates as spiritual shepherds are called not to be governing monarchs or slick celebrities, but humble slaves. In submission to Christ, they must exemplify sacrifice, devotion, submission, and lowliness. There are two points in the quote above that require emphasis. The first is that the true spiritual leader has been designated as such by God. A man may attend seminary, but that does not mean he has been called to preach, let alone to care for a flock of sheep. This leads to the second point, that the true under-shepherd of Christ exemplifies a life of a humble servant. He does not sit with his nose in the air, silently or even not-so-silently judging those he deems to be less spiritual or worthy than he. He does not show partiality, determining who would best “fit” within “his” church. Scripture speaks quite strongly against such a mindset. One cannot help but think of Paul as an example of the quintessential under-shepherd of Christ. This is because Paul never regarded his calling as a thing gained due to his own talents or merits. He never considered himself as anything more than a servant of the Lord Jesus Christ. The Greek word Paul uses here for “servants” is one that means “under-rower,” that is, the lowest level of oarsman that would serve on a ship. This is indeed a word of service. It is a word that precludes any notoriety. In this context, it is a word that epitomizes humility, for Paul uses it boldly and unashamedly. Paul considered himself to be a servant of Christ, not worthy in himself to serve his Master in spite of his earthly education, but worthy only due to the righteousness imputed to him by that same Master. The true under-shepherd who has been called by Christ does not lead as a dictator, requiring every decision to go through him before it is made. A man who has been called to care for the flock instead recognizes the gifts of each sheep within the flock, and encourages each to exercise those gifts appropriately. He trusts his fellow elders to lead and care for the sheep with him. He lives, preaches, and shepherds in submission to Christ, not in despotic rule over the members of the body. We do not attend Pastor So-and-So’s church. The Christian must be mindful of how he identifies with his local assembly, for no true pastor would desire to be the main attraction. A true under-shepherd desires for Christ to be exalted in his preaching, for Him to increase while the man in the pulpit fades into the background (John 3:30). A pastor called by God would cringe at hearing one of his sheep declare that he attends Pastor So-and-So’s church. Encourage your pastor. Pray for your pastor. Thank your pastor. Support your pastor. He is serving the living Christ and he needs all these things, but he does not need your worship, whether intentional or unintentional. He is not the head of the church, and if he behaves as though he is, perhaps that gathering is not a true church after all. 1. “The Pastor as a Shepherd,” John MacArthur, accessed 30 December 2017. *For the record, I wrote this article—including the title—long before I saw that Phil Johnson had delivered a message with a similar title at the 2018 Shepherd's Conference!